Judd Asher Nelson was born on 28 November 1959, in Portland, Maine USA, into an Ashkenazi-Jewish family (from Russia, Lithuania, Romania and Poland), and is an actor, producer and screenwriter. 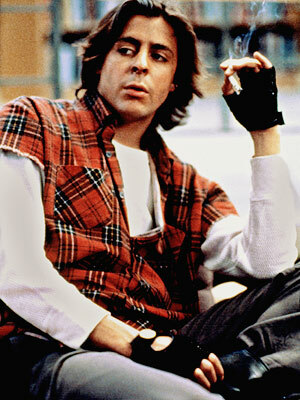 Judd Nelson came to prominence by playing the role of John Bender in “The Breakfast Club”. He has also starred in “St. Elmo‘s Fire”, “Fandango” among many other movies. Moreover, Nelson is a voice actor in animated films, such as “The Transformers: the Movie”. However, he has mostly gained popularity by playing anti-heroes or bad guys. So how rich is Judd Nelson? Sources declare that his net worth is estimated to be over $8 million, which considerable wealth Judd has accumulated from appearing in abundant movies and TV series during a career spanning more than 30 years in the film and TV industry. Judd’ father, Leonard Nelson was a corporate lawyer and his mother, Merle (Royte) Nelson was an attorney and state assemblywoman. The actor attended St. Paul’s School in Concord, New Hampshire, then Waynflete School in Portland, Maine. After that, he studied at Haverford College in Pennsylvania. However, after two years Nelson left college and moved to New York to study acting in the Stella Adler Conservatory. Judd Nelson started his acting career by starring in “Making the Grade” in 1984. One year later he was cast in probably the most important role of his life in “The Breakfast Club” and became recognized. Later on, he appeared in many different movies, for example, the historical drama “Hiroshima: Out of the Ashes”, comedy “Airheads” and psychological thriller “Flinch”. The actor performed splendidly in the TV miniseries “Billionaire Boys Club”, a thriller based on true events, with his portrayal earning him a Golden Globe Award nomination. The actor was also nominated for Maverick Movie Award, Razzie Award and won MTV Music Award. Further, he extended his arty attempts and appeared not only as an actor, but also wrote and produced the thriller “Every Breath”. All these appearances gave a significant boost to Judd’s net worth. Nelson had made his television debut with “Moonlight” in 1986, in which he played the role of a police officer – followed by “Billionaire Boys Club” – then in 1996 the actor was cast in an important role in the television sitcom “Suddenly Susan”, which lasted for four seasons and became very successful. Later on, Judd featured in other television series, like “CSI: NY”, “CSI: Crime Scene Investigation, Las Vegas”, and “Two and a Half Men”. Besides, Nelson played a main role in the final season of the TV series Nikita. Additionally, Judd Nelson has contributed his voice to characters from animated movies, such as “Ben 10”, “Family Guy” and “Phineas & Ferb”. Of course, Judd’s net worth rose consistently through these performances. Judd’s popularity can be judged by the fact that he has so far appeared in almost 70 films, and nearly 20 TV films and series, and shows no sign of retiring anytime soon. Despite being underrated by critics for some appearances in poorly-written movies and series, his portrayal of John Bender from “The Breakfast Club” not only made him a star, but also inspired Matt Groening to create the fictional character of Nelson Muntz in the animated TV series The Simpsons. Judd is also the author of four books: The Power of Speech, Nine of Diamonds, The Gig and Water Music, which have also contributed somewhat to his net worth. In his personal life, Judd Nelson has never married but he was in a relationship with and temporarily engaged to the popular actress Shannen Doherty. He currently lives in Los Angeles, and enjoys playing golf, reading, writing and riding this motorbike. 1 My first paid acting job was a movie called Fandango (1985). It also starred Kevin Costner. 2 The movie that's had the most effect on me is Jaws (1975). To this day when I'm in the ocean, I'm hearing that music. 3 I don't have any blindness when it comes to my money. As an actor, you can get distracted by your work. I do keep an eye on my nest egg, if you will. 4 It's still a bottom-line business. You can be out of control, and if they want you, they'll pick you. And you can be a mensch, and if you're not the product they want, you won't get it. 5 I have adopted clothes from all the projects I'm in. It's really been a while since I've bought anything myself. 6 I took all the philosophy courses I could. 7 I'm involved with Recording Artists and Actors Against Drunk Driving. I'm also involved with most children's causes, because children can't help the environment they're in. 8 Almost anything makes me laugh, especially jokes at my own expense. And I will never, ever admit to being ticklish anywhere. 9 I like the way the old Toyotas look. 10 It's great to work with people that you like, any job, no matter what you do. 11 A fancy watch, it's completely unnecessary. I just need a watch to tell the right time. 12 All of the directors I've worked with I have loved and would work with again. I have no favorites. 13 Death is not my best subject. 14 I don't know if it matters what country you're from, size of the city you're from, urban or rural, there are people that are hurting each other everywhere. 15 Ice-T was just a pleasure to work with. He was a smart gentleman. 16 It's very easy to confuse Sean Connery with James Bond. Sometimes in the entertainment industry, people believe the cake is more real than the baker. 17 I always thought that the badge a cop has was more like the shield that Captain America has. It's an obvious sign of good and something you'll protect other people with, but it will also protect you. 18 My closest friend is canine. I have precious few close friends, and most of them are not actors. 19 I like being a villain. Villains are more exciting. 20 I just couldn't go back to Suddenly Susan (1996) after David Strickland's suicide. I didn't see how we could make the show light and funny any more. 21 I like every single actor or actress in the world, because we never know what the conditions are like when they are working. I give everyone the benefit of the doubt and root for them like a psychotic sports fan. 22 I am very grateful to make my living doing what I would do for free. 23 I went to acting school in New York City for two years. I studied with Stella Adler. 24 Catcher in the Rye had a profound impact on me-the idea that we all have lots of dreams that are slowly being chipped away as we grow up. 25 While they would have provided financial support if I had needed it, the greatest support my parents gave was emotional, psychological. 26 Heroes always make the right decision; I find that seldom happens in my life. 27 Young alienation, disappointment and heartache is all a part of the first real growing up that we do. 28 My first love is acting on stage. A sitcom is a hybrid of stage and film. 29 I put less stock in others' opinions than my own. No one else's opinions could derail me. 30 I love the rehearsal process in the theatre, and the visceral sense of contact and communication with a live audience. 31 With failure, you just try again. 32 You can be knocked down, but it doesn't mean you're out. 33 When I was in college, all the pretty women were in the theatre, so I auditioned for a play. 34 It is a career of make-believe, of masks. We all have masks in life. 35 I find it very difficult to relax. I find it increasingly difficult to find outlets for my frustration. 36 Remember to be as smart as you are. 37 As a kid I had a crush on Sophia Loren and Raquel Welch. 38 My Brat Pack buddies and I didn't exactly handle celebrity very well. Success at an early age is far more difficult to handle than failure. 39 I think that there's room for everyone. I don't think that if one person succeeds then another must fail. That's lunacy. I'm not sure what the reasons are for my philosophy, maybe it's the fact that if there are ten people doing the same job, we all know how we feel and what our high points and low points are. 1 He is from an Ashkenazi Jewish family (from Russia, Poland, Romania, and Lithuania). 3 Loves to play golf, read and ride his motorbike. 4 His manager is Steven Siebert. 5 Has two younger sisters, Eve and Julie. 6 HAD a Staffordshire Bull Terrier named Talluah Bighead (deceased). 7 Favorite baseball team is the Boston Red Sox. 9 When he left Suddenly Susan (1996), he was replaced by his The Transformers: The Movie (1986) castmate Eric Idle. 10 Was once engaged to Shannen Doherty. 12 He appeared in John Parr's "St. Elmo's Fire (Man In Motion)" music video. 13 Attended the prestigious Haverford College in Pennsylvania.